Maori Affairs has had a rough time. In government the portfolio is held under a minister outside of Cabinet. But under the last Labour government the portfolio was held under the fifth ranked minister – Parekura Horomia. When Labour lost government the portfolio fell with Parekura’s ranking. It didn’t recover. Until yesterday. Shane Jones won promotion and the Maori Affairs portfolio is back where it belongs – within the top 5. Jones will take a different approach from Parekura before him and Pita Sharples opposite him. Parekura was and Pita is a relationship politician. They leverage their relationships to achieve change. Shane can build good relationships with other politicians, officials and voters – like Parekura and Pita – but Shane’s cut from a different cloth: he can and will rely on the force of his personality and intellect to drive change. Parekura and Pita didn’t and don’t exert that sort of blunt pressure. Nanaia Mahuta won promotion too. She’s in the shadow cabinet and holds the Maori development and Treaty settlement portfolios. Nanaia can open doors. She’s experienced and knows how Maori politics works. But there’s one problem: can and will Shane and Nanaia work together? If not, Labour will forfeit its advantage over Mana and the Maori parties: stability. The Maori caucus split between supporting David Cunliffe and Shane Jones. That might not be indicative of deep rifts – but only differences in opinion - but the perception is building that Labour’s Maori caucus is fractured. If the Maori caucus doesn’t signal that it’s going to sew up its divisions then the Greens will credibly make a claim to being the only stable kaupapa Maori party. The other member of the Maori team is Rino Tirikatene. He retains the Associate Maori Affairs role. Rino will act as Shane’s deputy and Nanaia will go about her roles. 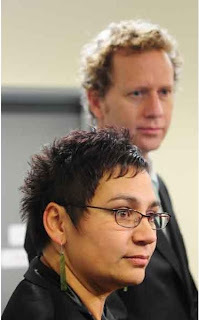 Meka Whaitiri didn’t win a Maori portfolio. That’s a shame. I think she could have deputised for Nanaia in the way that Rino will deputise for Shane. The challenge for Shane and Rino is to find cohesion. The challenge for Nanaia is to exploit the (very few) cracks in the government’s Treaty policy. That’s not easy. Reshuffling was never going to be an outcome in itself, but it will bring a focus that the Maori Party should be worried about. There are now three Labour MPs - including two front benchers - who are coming for the Maori Party's jobs. Post script: props to Louisa Wall and Moana Mackey. Their promotions were richly deserved. Wall steered through the Marriage Equality Act with clarity and confidence. Despite entering Parliament in 2003, Mackey hasn’t registered. That’s a shame. She works hard and is rarely acknowledged for it. In 2012 she robustly opposed the Exclusive Economic Zone and Continental Shelf Act. She carried Labour on that count and others. Her promotion is overdue. In addition to my last blog post, The Left must have the courage of their convictions, I am writing a short series of posts on the need for the parties of the Left to reassert progressive values in order to offer a credible alternative to John Key and the National-led Government. First up; the Labour Party. The democratisation of the Labour Party’s leadership election processes have provided an opportunity for party members, the union movement and the broader left to push for the reassertion of progressive values and the repudiation of the Third Way agenda of the Clark era. 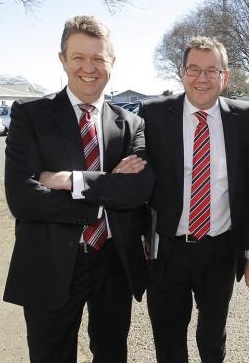 Both newly elected David Cunliffe and his primary opponent Grant Robertson took to the campaign trail with promises of significant industrial relations reform, a new-found commitment to the environment, and pledges on women’s political participation and increased student support. They would “end neo-liberalism” and even distanced themselves from Helen Clark’s legacy. 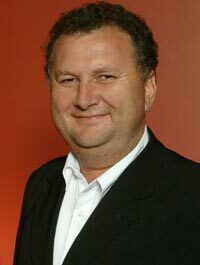 Even Shane Jones in some ways promoted progressive values; he committed to supporting a universal student allowance and a pushed for a breakup of the supermarket duopoly. This has reinvigorated Labour's base to a significant degree. It is these kinds of bold ideas that will drive greater participation and involvement in the political system. But the media consensus proclaims that this high-minded progressivism is fit for the campaign trail, but will be discarded at the earliest opportunity; that Cunliffe will default to the centrist direction that the Labour Party has been previously heading down. This highlights two things; the media are hostile to the interests of genuine left-wing politics, and many in the media are disconnected from the realities of those struggling to survive in this land of plenty. At Cunliffe's first press conference as leader, he distanced Labour from the Trans-Pacific Partnership Agreement and said "my challenge to John Key and his government is to put that information in the public domain so the debate can begin". This is a radical change in the direction of the Labour Party caucus, as was put so well by TPPA expert Jane Kelsey over at The Daily Blog. So already Labour's new leader has stood up to the proponents of liberalised free trade, many of whom are a part of his own caucus. Will he continue down this path? How far will he go? What other progressive values will he reassert? Inequality is at the highest point it has ever been in the history of this country. This proves the necessity for a reassertion of progressive values and there is a great opportunity for these values to resonate widely. A fundamentally new direction in the economy is sorely needed. As fellow working class New Zealanders will know, poverty and hardship are only getting worse. Helen Clark's government stabilised things in the wake of Rogernomics and Ruthanasia, but the fundamentals of her economic management allowed for continuing unemployment, high power prices, low-wages and shocking rates of child poverty. 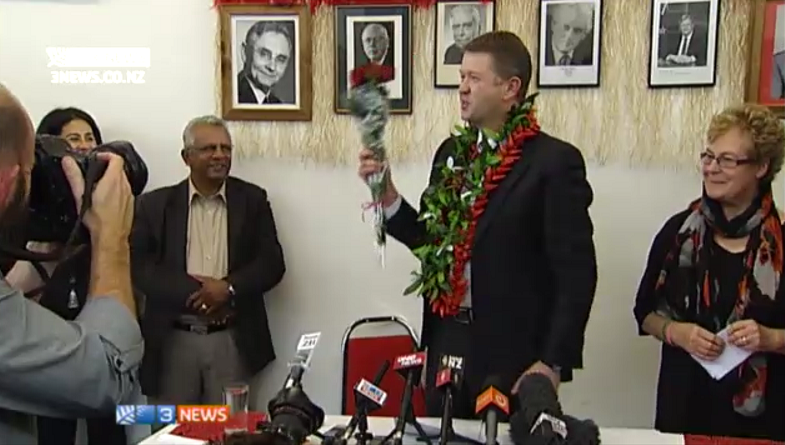 David Cunliffe will need a great deal of courage to steer a fundamentally new course of economic management. He leads what remains a largely moderate Labour caucus; his newly elected deputy leader David Parker is on record saying "competitive markets don't need regulation", while newly appointed Shadow Leader of the House Grant Robertson said around the same time that "as we said on the day we launched NZ Power, we have no plans to intervene in any other markets." While I'm sure Cunliffe is in favour of the market economy where it works, if he wants to significantly reduce poverty and inequality then he will need to regulate other markets as well. Competitiveness does not always lead to positive outcomes. To ensure that his vision and convictions lead the party's economic platform, he will need to take an active role in finance and economic development and not leave everything up to the likes of Parker and Shane Jones. Low benefit levels, and the toxic nature of WINZ, contribute hugely to the ongoing poverty and deprivation in this country; we know that two-thirds of children in poverty are living in benefit dependent households. But there is a deep reluctance in the Labour caucus to provide real and increased support to beneficiary families. Given National's succesful strategy of pitting communities against each other by beneficiary bashing, it's a political minefield for Labour. But this is an issue that should be above political posturing and electoral calculation. Social welfare is a core progressive value and was at the heart of the First Labour Government's working class agenda. The welfare system itself under that government didn't have to be a huge drain on resources, as the government ensured pretty much full employment. While it does have significant financial implications in this day and age, we must also remember that we are spending $6 billion a year on preventable crime, illness and lost educational opportunities – the direct cost of keeping kids in poverty. Thousands of families will continue to live in deprivation if the government doesn't step in. Employment must be the key aim, but children are not impoverished because of any fault of their own. They deserve compassion. The policy for universalisation of the working for families scheme, which has been Green policy for over a decade, was adopted by Phil Goff before the 2011 election but then abandoned again under David Shearer's leadership. This is a policy that will go a long way to reducing poverty among families on welfare and should be part of a welfare tool kit for an incoming centre-left government. Promoting both employment and social welfare as progressive values, and convincing the public that they aren't mutually exclusive, will be a real test of David Cunliffe's leadership. A core progressive value of the 21st Century is environmental guardianship and sustainability. However, it has not traditionally been a value that Labour has embraced. Water quality was incredibly bad under the Fifth Labour Government and has led to the current situation of 60% of monitored rivers being unsafe for swimming. Also, the process for granting risky deep sea oil permits was instituted under Labour. Environmental protection and sustainability represent very fundamental issues that Labour must grapple with. For example, reducing river pollution to sustainable levels is going to require a rethink of the continuing intensification of the agricultural sector, one of the nation's most economically productive industries. This reality challenges not just river pollution but the very idea of never-ending economic growth. Deep sea oil drilling and the future of wider extractive industries is another kaupapa that Labour needs to provide clarity and consistency on. There are clear divisions over this issue. On the hand, Shane Jones promotes oil drilling and mining as a solution to youth unemployment while on the other hand, MPs like Moana Mackey and Grant Robertson are much more hesitant to support these risky ventures. A massive deep sea oil spill could effectively destroy New Zealand's economy. David Cunliffe needs to make a stand on this. And of course this all ties in with the climate crisis and our need to significantly reduce emissions and play our part on the global stage. A weak and ineffectual carbon trading scheme like our ETS will not achieve this. New thinking and innovative solutions are required. "the nature of this crisis is far deeper and more fundamental than the standard environment-economy trade-off thinking might suppose. The coming crisis threatens more than just marine biodiversity. The species we are trying to save could be our own." The forces of reluctance, moderation and conservatism will do their very best to hound David Cunliffe's leadership and the opportunities for true progressivism that it represents. We need to expect more of Patrick Gower appearing on the 6 o'clock news attacking Cunliffe for stumbling on a word. He will also continue to promote the idea of Labour disunity. Cunliffe must have an iron will and unify his caucus behind his economic and environmental vision. This will be the biggest challenge of his entire leadership in the lead up to the 2014 general elections. Those of us who believe in a compassionate, sustainable and socially just future need to be vigilant in our support for a new direction and as equally vigilant in our critique of the forces of negativity and conservatism that inhabit both the major political parties, the mainstream media and elements of the business community. Here’s my approach to voting: if there are two equally competent candidates, what’ll swing my vote is if one of the candidates is Maori, Pasifika, Asian, female or under 30. Maori, other ethnic minorities, women and young people are underrepresented in local government. Local elections run from the 20th of September to the 12th of October. Consensus politics rules in local government, but without diversity consensus becomes a synonym for the politics of the middle-aged-white-male. When Maori, other ethnic minorities, women and young people aren’t represented, their (and our) interests aren’t properly served. That’s why you should count ethnicity, gender and age as a persuasive factor. That’s my mum, obviously. She’s standing in the Kohi Maori seat. The Bay of Plenty Regional Council is one of the few local authorities with dedicated Maori representation. That means it’s important that we make it work. The Kohi seat needs renewal. Local government's often burdened with time servers whose name recognition trumps their competence. I’ll make a personal guarantee: my mum is qualified, ready and competent. But maybe I'm biased. Mum has a background in environmental education, research and management. At the moment she teaches environmental science at Awanuiarangi. The issues that are important to her are cleaning up contaminated land – including Maori land that's contaminated with PCP and dioxin – fresh water management, resource management and tangata whenua, economic development and accountability. For a better run down you can like here Facebook page. To vote for her you have to be enrolled in the Kohi district and on the Maori roll. That’s my dad, obviously. He’s standing for the Kawerau District Council. The same guarantee: my dad is qualified, ready and competent. There isn't much more I can add. If you’re reading this in Kawerau, you know who he is. But I'll make this point: it’s important to vote for people who live in the district. A councillor can’t properly serve the district (or the ward) when he or she lives in, say, Ohope or Rotorua. You can like dad’s Facebook page here. He’s about bridging the gaps. There’s an age deficit and a cultural deficit between the Kawerau District Council and the Kawerau community. Dad will help repair that deficit. A lifelong Paekakariki resident, I’m eager to be a voice for the community and contribute to the Board’s work and advocacy. If elected, I will focus on fighting for our local democracy and ensuring community concerns are listened to, providing opportunities for youth, restoration of our local environment and fostering a strong partnership with the mana whenua; Ngati Haumia ki Paekakariki, Ngati Toarangatira and Te Ati Awa ki Whakarongotai. My experience in governance and representation includes serving on Kapiti College’s Board of Trustees, the Green Party’s National Executive and as a Youth MP. This isn't an exhaustive list, but a guide for wavering voters. If you want me to add your name to the list flick me an email, tweet, or a Facebook PM. Fioana Wiremu (who's also standing for mayor). I'm stuck in a half way house. Somewhere between the progressive left and the tino rangatiratanga movement. Shane Jones has put me there and I'm afraid to move. Jones' bid for the Labour leadership has opened a divide between the left and the tino rangatiratanga movement. Maori politics exists apart from the left-right divide, apparently. But I don't think that's true. Maori politics exists beneath the left-right divide. Maori political history isn't rich with choice. Asking or telling us to wait for a more "progressive" candidate is deeply offensive. Maori have waited - and with relative patience - for the opportunity to elect a Maori prime minister for more than a century. The Maori renaissance and (more recently) the emergence of the Maori Party and the Mana Movement signals that Maori political patience has built to its limits. Carrie was right when she wrote that "the insistent hating [of Jones] overshadows a potentially major historical moment in NZ". The Maori approach to power is changing and Jones is the most recent personification of that approach. When the left denies Jones, its denying Maori political power. It's uncomfortable. In some respects it smacks of the politics of the 20th century. When Maori stepped outside of the political role that society had created for them - as mihi men, singing women and glorified lapdogs - they were shut out. See Matiu Rata and Tariana Turia about that. I remain ambivalent about Jones - partly for, partly against. The self aggrandising attacks against feminism grate. The struggle for gender equality shouldn't and can't be divorced from the struggle for ethnic equality. Attacking feminism doesn't empower the tino rangatiratanga movement, but weakens it. Solidarity works best when it's solidarity with all marginalised groups - whether it's women, the disabled, the LGBT community or other Polynesians - and equality works best when it's equality for the whole and not the parts. What I'm getting at is this: I tautoko Jones because of what he represents - Maori political empowerment. But his approach to empowerment, well, not so much. Tangata takahi manuhiri, he marae puehu - a person who mistreats guests has a dusty Marae. The saying captures the idea of manaakitanga. It captures the approach the tino rangatiratanga movement - and by extension Jones - should take towards friends in the left. But that works in reverse too: the left should keep in mind why Jones' run is important to our movement. Post script: According to the latest Te Karere poll Maori prefer Jones by a large margin. And again for transparency: I endorsed DC earlier in the race. The mainstream media seem unable to entertain the idea that David Cunliffe and Grant Robertson might actually be honest in their critique of neo-liberalism and the economic orthodoxy. By extension it seems that they believe that socialism is a defunct ideology in 21st Century New Zealand. But in ideological terms, the history of the New Zealand labour movement is relatively typical of its counterparts in other Western liberal democracies. It is a history of socialism. It’s rise, it’s dilution and it’s near death. The First Labour Government was a truly socialist government, and is the benchmark of democratic socialism in New Zealand. But with the collapse of the post-WWII economic boom, social democratic parties found it increasingly difficult to enact further socialist reforms due to the restraints they placed upon themselves within the capitalist framework. This led to the economic liberalisation and financial deregulation of the 1980s and eventually the Third Way agenda under Helen Clark. These historical trajectories have divorced the Labour Party from its socialist traditions and its grassroots support base. Voter engagement has plummeted. Political apathy and cynicism has never been higher among working class New Zealand. In the wake of the Global Financial Crisis and considering the climate crisis, peak oil and resource depletion, New Zealand is ready for its next ‘big change’ moment. The evolutionary socialist school of thought has been the dominant and only viable socialist framework since the collapse of the USSR and the moral failures of violent revolutionary communism. Democratic socialism was founded upon the belief that to achieve social gains, one must work within the democratic system of Parliament. Gradualists, as they were known, including the Fabian Society and Eduard Bernstein, believed their vision was inevitable because of the qualities of the democratic system itself and the truth of their ideas. Many social democratic parties were formed across the Western world to utilise this democratic approach. The New Zealand Labour Party was established in 1916. From this early period of its history, Labour broke free from the communist movement to pursue a social democratic agenda; in 1925 a membership pledge was signed to affirm the Party’s commitment to democratic constitutional processes of governance. Yet it was clearly a socialist party; this is shown by its 1922 election manifesto which describes the Party’s key aim as the “socialisation of the means of production, distribution and exchange”. When Labour was elected to Government, with Michael Joseph Savage as Prime Minister and Peter Fraser as his ministerial workhorse, it enacted a wide range of socialist reforms including legislating compulsory trade union membership and passing the Social Security Act 1938, which effectively provided welfare cover from ‘the cradle to the grave’. The welfare state was expanded and entrenched under the premiership of Peter Fraser. The second and third Labour governments continued down the same path of evolutionary socialism; egalitarianism became a mainstay of New Zealand politics from both right and left governments up until 1984. This was due to the entrenchment of social democratic principles in politics by Labour governments. Social democratic parties in the late 20th and early 21st Century have been embracing neo-liberal economic policies to fit within the framework of capitalist democracy. As Dr Ashley Lavelle, an Australian political scientist, has pointed out, the solutions to the world’s problems that are being put forward by social democratic parties barely differ from the solutions of their conservative and liberal counterparts. Furthermore, the fundamental reform plans that they put forward in the 20th Century "to challenge entrenched power and privilege or redistribute the wealth have disappeared"*. Lavelle notes that the primary cause of the death of social democracy is the collapse of the post-war economic boom so that the return in the 1970’s of low economic growth led to the removal of the economic base used by social democrats to enact their social reform. This reform relied upon high revenues and incomes to reduce inequality and raise living standards without undermining capital accumulation. This reality required Governments and therefore social democratic parties to “remove the constraints on capital” and to create opportunities for business*. Social democrats were forced into this approach, as these were the boundaries set by economic democracies, which was the framework in which social democrats were pursuing their socialist goals. In the New Zealand context, it was the fourth and fifth Labour governments that implemented both the initial market liberalisation and the more moderate Third Way agenda that followed. By implementing this approach of neo-liberal policy, Labour has faced significant political consequences. They have suffered major electoral setbacks as a result of voters’ discontent with their neo-liberal economic policy and inability to stick to manifesto pledges. Another major issue that is affecting social democratic parties is a decline in membership. This is an issue for all parties in the 21st Century but there is evidence that social democratic parties have lost members specifically in response to capitalist entrenching policy. This disconnects parties with their own history and the ideological base which gave them the mandate to exist in the first place. The Third Way agenda of Helen Clark failed to address environmental degradation, carbon pollution and resource depletion. Centrist social democratic parties like the current Labour Party are unwilling and ill-equipped to tackle the underlying problems of our capitalist economic system. Can Labour, on the back of the democratisation and re-invigoration of their party, redefine 21st Century politics in New Zealand by bringing its traditional values to the fore, while at the same time modernising it's policy platform? Eco-socialism, which is an ideology that has roots as far back as the mid 1800s*, has the potential to become a dominant ideology in the 21st Century. Eco-socialism draws on both the ecologist and socialist opposition to capitalism. Ecologism is founded upon the basic reality that there are natural limits to growth as we live on a planet with finite resources. This is a complete contradiction to the structure of capitalism that promotes never ending economic growth and labels environmental protection and social equality as “external dis-economies"*. Eco-socialists assert that the world is interconnected and that the economy is based on the health of the environment and those living within it. It is evident that eco-socialist ideas have been gaining traction in the Western world, especially since the Global Financial Crisis. The Green Party of Aotearoa New Zealand has over the last decade lead a change in the political climate and ensured that eco-socialist values and solutions are firmly on the agenda in this country. While no longer radical in tone and appearance, the Greens champion a future economy and society that is far from the status quo. 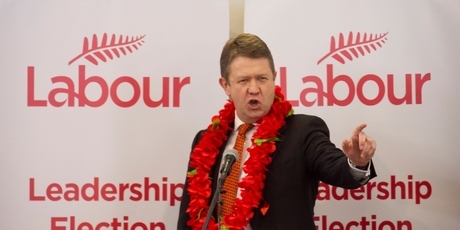 But it's no longer just the Greens that are talking about transformative change; Labour leadership front-runner David Cunliffe, and to a lesser extent Grant Robertson, have also been articulating a vision that is starkly at odds with the capitalist orthodoxy. Cunliffe's rhetoric in speeches such as 'The Dolphin and the Dole Queue' and 'Get your invisible hand off our assets! ', represents a kind of thinking that is remarkably similar to prominent eco-socialists and the Green Party's co-leaders. The clean tech revolution can build resilience in our economy, while protecting the environment and under the right settings could ensure full employment for our people. The scale and pace of change that we require is even greater than the situation that the First Labour Government faced. Harnessing a revolutionary ideological base combined with a democratic approach to fulfillment, the eco-socialist movement proves that socialism is a relevant ideology in the current political climate. For New Zealand's progressive leaders, both Red and Green, the real test lies ahead. If they follow through on their bold rhetoric and abandon the weak social democratic agenda, then the First Labour-Green Government could be as historically significant, world-leading and revolutionary as the First Labour Government that was sworn into power over three-quarters of a century ago. While some in the media are probably right in that many see the word 'socialism' itself as an "instant turn-off"*, that does not mean that the ideological underpinnings of the candidates and the movement that they are seeking to lead won't have a huge effect on the outcome of not only this election, but also Labour's electoral platform for the next general election. Its a no-brainer that New Zealand will remain a mixed economy, with the private sector playing a large role in our economic future. For example, both Labour and the Greens favour market incentives and price signals to address certain economic and environmental problems. But the time has come for the Left to reassert the fundamental values that built this nation. Radicalism has for a long time been seen among the media as both a cardinal sin and a sign of electoral oblivion. But with the economic and environmental crises that engulf the world, and the massive skepticism of many people towards the political establishment, there are so many issues that require radical solutions. It could well be just what's needed to get disenchanted voters to turn around and listen. * Bradley J. Macdonald, ‘William Morris and the vision of ecosocialism’, Contemporary Justice Review, Vol.7, No.3, 2004. Willie Jackson ripped into Nanaia Mahuta, Moana Mackey and Louisa Wall on Marae Investigates. Willie argued that they're guilty of "selling out" the kaupapa. The kaupapa being supporting a Maori leader of the Labour Party. He was unkind, but he might be right. There seems to be little point in having a Maori caucus if it isn't going to support a Maori leadership candidate. (Honourable exception: Rino Tirikatene). Surely that's the guiding kaupapa. But does solidarity demand that they support Shane? Thoughts.